ReCoTech have some tips for SLUSH 2017 from Built Environment perspective! Together with Unrealer we have hand curated some opportunities for you from the blue ocean of possibilities in Slush. This short list will help you to maximize the ultimate SLUSH experience. Enjoy! Making Buildings Healthier & Smarter with IoT & Analytics. Bliot is a Finnish service and technology company offering Internet of Things and Artificial Intelligence solutions for construction Industry. Blok is out there to fully automate the selling and buying of real estate. Congrid provides software solutions for construction companies to improve and enhance their site management. The easiest way to measure property. Fourdeg Smart Heating improves heating quality and reduces energy consumtion in buildings with water radiators. Cloud connected building technology for large scale projects. Humian Technologies develops sensors and services that measure buildings. is a consortium of expertise in healthcare facility design and management. lifelife is a rental asset management platform for landlords and real estate companies. Tessin, founded in 2014 is the largest crowdfunding platform for real estate in the Nordics. Commercial real estate lease lifecycle management SaaS. Selected by Bloomberg as one of the 50 most promising startups in the world, Geoblink is a SaaS-based location intelligence solution that helps companies (in sectors such as Retail, Real Estate and FMCG) make informed business decisions that concern location. AI-driven valuation for Real Estate. At Naava we’re reconnecting humanity with nature. We make the smartest green walls on the planet to bring nature inside, everywhere. We have created future technology that embraces millions of years of nature’s innovation combined with Scandinavian design. Where ever you work should feel like a walk in the park. We make it happen by bringing fresh Nordic forest air and real nature indoors. All you have to do is: breathe. Polku Innovations is an innovation and technology startup focusing on IoT, smart building and well-being solutions & services. Proximi.io is a unified positioning platform. Quuppa provides a novel positioning solution utilizing proprietary technology based on Bluetooth Low Energy technology, unique Angle-of-Arrival signal processing and advanced positioning algorithms. 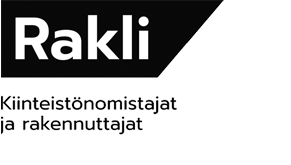 Ruuvi Innovations is a privately owned and funded Finnish startup company established in 2015. IoT SENCITY Sencity brings communities closer by designing interactive public furniture and its online portal to reimagine city interfaces with interactive experiences, that enable layers of information, engagement and entertainment to everyday environments. Sensative’s focus is on developing and selling products and services for smart real estates and smart cities, with the ambition to become a leading player in the industry. Sensing Labs provides wireless sensors solutions serving B2B markets that are driven by energy & cost savings needs and is thus primarily targeting the following markets: • Smart Building • Smart Metering for water & Gas • Precision Agriculture • Smart Industry The Senlab Sensors combines Hardware, Firmware & Software and are easy and fast to integrate into a final end-to-end solution. Our vision is to disrupt and digitalize real estate marketing practices and be the leading real estate marketing company in Europe by using the latest 3D and VR technologies. Wanderfeel compares the as-built view against the designs, by merging the construction site imagery with the 3D design (BIM) models. It is automating the quality assurance, detecting and eliminating errors faster, saving time and money. Here is the whole program with tip’s!